Adding our February 2013 Workbench of the Month from Gordon C. of Calgary, Alberta Canada to our Lake Erie Toolworks Blog for ease of access and historical awareness. This bench was modeled after Duncan Robertsons’ work bench. 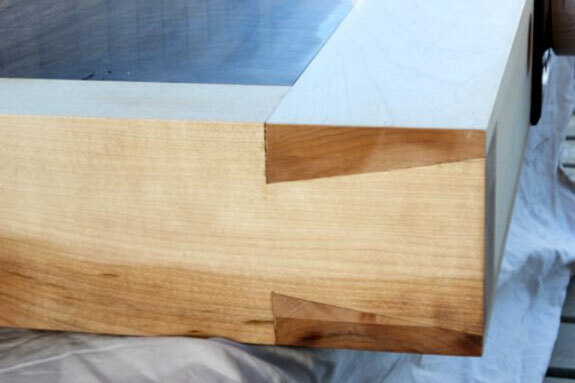 This workbench fragment is, like his, set beside my hand tool bench, but at a more comfortable working height for sawing, chiseling and layout. 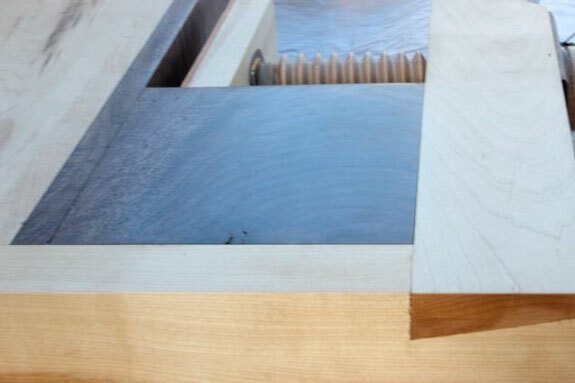 It is made of maple and black walnut. The plate in front of the screw head is torrified maple. Figured wood can be used for the bench top because a bench like this for doing precision work is worked on, not into. 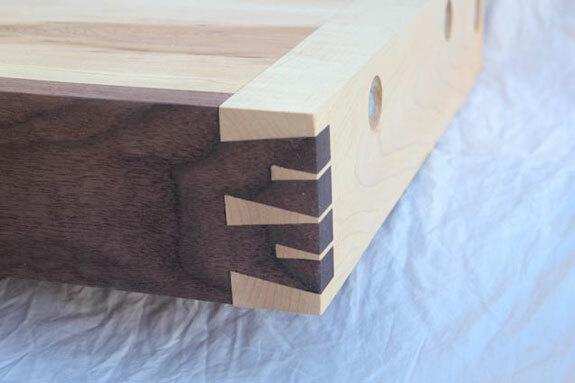 The hound’s tooth dovetail between the maple and walnut was a bit scary to cut, because any mistakes are very obvious, but it was worth it in the end. I built this bench at Duncan’s School of Quiet Woodworking.